The following is a list of Trailblazers that were previously published in the the Phycological Newsletter. This is the first in a series of articles about a select group of pioneering phycologists who made daring travels around the globe in search of algae. The common thread is that these individuals explored remote parts of the world, often at a degree of peril to their own safety, simply to make collections. We can now look back on their quests as being on the heroic side. It is the aim of these brief accounts to draw attention to the efforts of these phycological adventurers and some representative literature, both a sampling of their own publications and other pertinent articles. The Dutch phycologist Anna Antoinette Weber-van Bosse (1852- 1942) certainly demonstrated the spirit of adventure that qualifies her to be counted in the ranks of "phycological trailblazers." She can be regarded as an adventurer in that she went on scientific expeditions to the Dutch East Indies, the first one being in 1888-1889 and the second (the well-known "Siboga Expedition") in 1899-1900. William Henry Harvey (1811-1866) will forever stand out as a legendary figure in phycology, a true trailblazer. Dozens of biographical sketches about Harvey and his phycological contributions have been written (Stafleu & Cowan, 1979). This brief account will focus on Harvey as a traveler and collector, who although never blessed with robust health managed to remain unintimidated by the rigors of long journeys by sea or land or the demands of rude circumstances presented by mid-19th century frontiers. Mary Agard Pocock (1886-1977) was born on New Year's Eve of 1886 in Cape Town, South Africa. In 1908 she earned her BSc in botany, geology, and mathematics from London University (and in 1921 an honours degree in botany). Mary deserves a place in the ranks of phycological "trailblazers" in light of a daring six-month expedition she made in 1925-26, mainly on foot but also by boat and train, across south central Africa from Rhodesia across present-day Zambia and Angola. Perhaps no other phycologist, past or present, lived such a charmed existence as Frederik Christian Emil Børgesen (1866- 1956). His titular position was as a librarian of the Botanical Garden, Copenhagen, but he was blessed with independent means, allowing him to travel throughout the world in his lifelong quest for algae, as well as for exotic plants to introduce into his garden at home. Frans Reinhold Kjellman (1846-1907) deserves to be counted in the ranks of "phycological trailblazers" by dint of his participation in several voyages of exploration, the most significant being the 'Vega' expedition of 1878-80. Indeed he was as much an explorer as a phycologist. Kjellman's first sea adventure was at the age of 25, just after earning his Doctor of Philosophy. In terms of traveling to the hinterlands, namely, remote mountain ranges in Europe and North America, the Hungarian phycologist Erzsébet Kol (1897-1980) certainly deserves to be counted in the ranks of phycological trail-blazers. Her specialty was the snow algae, and her legacy is an impressive list of publications treating their systematics, biology, and ecology based upon collections ranging from the Alps, Greenland, Spitsbergen, and Alaska to New Guinea, Patagonia, and the Antarctic. Baron J. B. G. M. Bory de Saint-Vincent played a major role in the publication of the Dictionnaire classique d'histoire naturelle (1822- 1831) and contributed many of the entries on algal genera. Bory was responsible for describing such familiar genera as the diatoms Navicula and Achnanthes, the reds Audouinella, Iridaea, Dictyurus, and Tenarea, the chrysophyte Anthophysa, and the brown Agarum. Ragan and Gutell (1995) credited Bory as apparently being the first person to propose a third Kingdom of life, the "Psychodiare," or two-souled organisms, including "Arthrodiees," sponges, and the majority of the corals. It is appropriate to pay homage to Floretta Allen Curtiss, an adventurous lady who although never publishing a single paper on algae, stands out as a genuine "trailblazer." Her impact on phycology is based on her zeal for collecting and her sharing material with professional phycologists of the day. She was not a mere petticoated wader as was so common in this Victorian period but rather was one sturdy field botanist, who devoted the last two decades of her life to her favorite pursuit, namely, the study of marine algae. 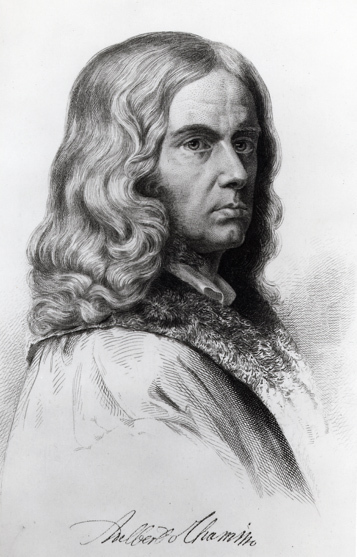 Chamisso was a charismatic figure who qualifies to be counted in the ranks of "phycological trailblazers", even if his phycological pursuits were secondary to his being a poet, author, explorer and broad- based naturalist. He was born in late January 1781, at the Château de Bancourt in Champagne and given the name Louis Charles Adelaide de Chamissot. When he was nine, the family was uprooted because of the French Revolution, their ancestral castle was destroyed, and they fled to Prussia. Chin-Chih Jao epitomizes the all-round phycologist, whose very long and productive career in phycology truly spans the 20th Century. His broad interests in the algae ranged from marine to fresh-water. He covered a lot of mileage over the decades both in China and in North America in quest of algae, and he discovered and described many interesting algal species. In North America, he managed to spend time working at two phycological meccas, Woods Hole on the east coast and Friday Harbor on the west coast as well as being a graduate student in the middle of the country, in Michigan. Niels Foged became an internationally recognized authority of diatoms, but he took up the study of diatoms under unusual circumstances, namely, when he was imprisoned during World War II. It was at this time that he was forced to live under an assumed name under threat of execution. He had been a courageously active participant in the resistance movement in Denmark, and his activities resulted in his almost being killed in his own home. But before we get to the dramatic movement in his life, let us start at the beginning. Marshall Avery Howe was a botanist with broad interests and with a strong field component to his research. He avidly set out on numerous collecting trips, especially to the tropics, and his body of work reflects that first- hand knowledge that comes about only from being in the field. His species descriptions are exceedingly detailed and can serve as models on how they should be written. They include an input derived from his many excursions into tropical waters and his acute powers of observation. In 1931 Anna participated in another expedition led by her aunt, this time to the Sea of Japan. She was able to collect and study brown algae from the region of Vladimir Bay and Olga Bay. It was this exposure to marine algae on these expeditions, along with the helpful guidance from her aunt, that led Anna to realize that she wanted to pursue marine phycology as her future career. Horatio C Wood is certainly known for more than his contributions to botany and phycology. He has been regarded as “the pioneer in American pharmacology” and made numerous significant accomplishments in medicine, human physiology, and experimental therapeutics. Yet Horatio Wood is also remembered because he was one of the early and important American phycologists, one who preceded and influenced Wolle (1887). He came from an era in which medical people received extensive education in botany and in the medicinal uses of plants. But his strong curiosity in natural history in general and in botany and freshwater algae in particular manifested itself when he was quite young. Arthur Henry Shakespeare Lucas was born 7 May, 1853, his third given name reflecting that his place of birth, Stratford-on-Avon in England, was also the hometown of the bard. Lucas ventured out on some collecting trips. One such expedition he participated on was organized by Joseph H. Maiden of the Sydney Botanic Gardens and was to Mt. Kosciuszko in the ‘Southern Alps’ and the highest point in Australia. On the very first day Lucas became so enamored of all the flowering world, among the steep granite rocks, that he quickly became lost. Luckily, he was able to locate an observatory hut at the summit, where a blizzard of blinding snow lasted for the next two days. Two decades have already elapsed since the passing of George F. Papenfuss, and although there are many of us still around who have vivid memories of him as a mentor during our graduate student careers, or as a charismatic personality at meetings or on field trips, or as a significant influence by his scholarly contributions to the broad field of phycology, there is a new generation of phycologists who did not know him. So it seems appropriate to include him as a “phycological trailblazer” in that indeed he was one of the “prominent phycologists” of the 20th century (West, 1996). Jacob Whitman Bailey has been called “the father of microscopical research in America” and “the Ehrenberg of North America”. Yet his professional career covered less than two decades. He arose from very modest circumstances to become a founding member of the American Association for the Advancement of Science, serving as its president in 1857. As a youth he had the habit of wandering alone in the woods gathering plants and minerals, which he would bring home and work to identify. Dawson Turner (1775-1858) was a wealthy banker in Yarmouth, England, but a botanist and inveterate collector by avocation. Sir James E. Smith called him “that exquisite cryptogamist”. Turner’s early interests were with plants in general and mosses, lichens, and marine algae in particular. His earliest papers reveal that he was a field-oriented person. Living close to the Norfolk coast, he was able to carry out observations on the algae of the local shore year-round, and thus in 1800 he contributed one of the first-ever phenological studies on benthic marine algae. He produced a list of the species of Fucus, Conferva, and Ulva (at that time almost all the seaweeds fell into those three genera), and the seasons at which these algae produced their “fructifications”. Reinke’s first publication was a sketchbook of the vegetation of Ratzeburg in 1869. With Griesbach, in 1873 Reinke published a German translation of Oersted’s Danish text on fungi, lichens, and algae. He moved to Rostock in 1876 with the full intention of taking courses in theology, a direction that his father encouraged, and studying botany in his free time. But he very much disliked the theology courses and started sitting in on biology courses. Upon graduating from college with honors in 1846, Bornet was happy to escape from a possible bureaucratic life. His family directed him toward medicine because of his love of nature (and plants). He headed for Paris, where his life was eased by the support of the parents of the young lady who was to become his future wife and life-long companion. Ever the eager student, Bornet divided his time with the faculty of medicine, the Sorbonne, and the Museum. Although two detailed biographical sketches have already been published on the life and accomplishments of Nils Eberhard Svedelius (Skottsberg, 1961; Papenfuss, 1961), he was such a significant person in terms of achievements in the first half of the 20th century that his inclusion in this series of essays seems fully justified. Nils Svedelius was born in Stockholm on the 5th of August, 1873. He received his education at the University of Uppsala under the tutelage of another eminent Swedish phycologist, F. R. Kjellman (Svedelius, 1908a). Franz Carl Mertens (1764-1831) of Bremen, Germany, and his son Karl Heinrich Mertens (1796-1830) made a number of early contributions to phycology, but for various reasons their names are somewhat in the shadows. The illustrious Dawson Turner (1808) seconded the compliment earlier given by Weber and Mohr to Mertens by calling him "the most able algologist of our times". The fact that the junior Mertens was responsible for the original description of the giant kelp Nereocystis luetkeana is alone a sufficient reason to include his name also in this series of "phycological trailblazers". Giovanni Antonio Zanardini (1804-1878) was born in Padua, Italy. Although he was plagued with ill health during much of his childhood, he showed a keen interest in learning, along with an early fascination with plants, especially flowers. As an adult he would continue to show this interest in his cultivation of many varieties of Camellia. Receiving the classical education of the period, he was regarded as an exceptional student through the primary and secondary levels of school. He was admitted to the University of Padua, where he studied law for two years. But his performance was mediocre, and he realized that his true interest was in botany. So he applied for admission to the Faculty of Medicine at the same University, where he would also be able to study the natural sciences. 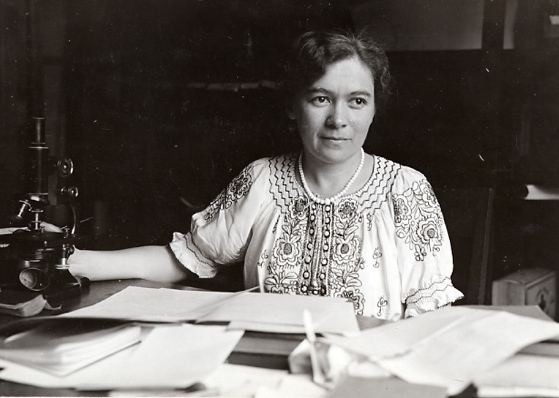 Hannah Thompson Croasdale was a major figure in 20th century studies on algae. She was also a significant figure in her contributions to the Phycological Society of America in its early stages and throughout her long career. In fact, she was one of the eleven “founding members” of the Society and the only female. But she was always self-effacing, going about her work quietly but with dedication and resolve. She attended the University of Pennsylvania, receiving her B.S. degree in 1928. Starting in the summer of 1930, she began working at the Marine Biological Laboratory in Woods Hole as a “botany collector” and instructor, and she continued to perform those duties for the decade of the 1930s. Alire Raffeneau Delile (1778-1850) was born at Versailles a decade prior to the French revolution. His father was equerry to the king, and his mother was in service to the queen (Duval, 1982). As typical of his time, Delile was both a practicing physician and a botanist. By his high marks on a competitive exam, he was admitted to the École de Santé in Paris. Although he was apprenticed to Dr. Brunyer, a physician in the hospices of Versailles, he spent his free time wandering the gardens and conservatories of the Trianon. Conversations with the eminent botanist Lemonnier shifted his focus to plants. Jules Brunel (1905-1986) is remembered as an important researcher on both the freshwater and marine algal flora of Canada, in particular, that of the province of Quebec. But he is also to be remembered as one of the founding members of the Phycological Society of America (Parker, 1981) as well as serving as the Society’s President in 1949. Brunel was born in Montreal, Canada, on April 12th, 1905. His father passed away in October of the same year. In 1916 he entered Longueuil College, which was a boarding school run by the teaching order Brothers of the Christian Schools. It was here in his last two years that he was first exposed to botany and to the teachings of the influential Montreal botanist Brother Marie-Victorin. With the death of Sophie Ducker on 20 May, 2004, in Melbourne, phycology lost a major contemporary figure, a person who contributed much to our understanding of marine algae, seagrasses and their pollination, horticulture, and the history of botany. She had several solo-authored and co-authored papers on various green algal genera and also on species of mostly articulated Corallinaceae, including a monograph of the Australian endemic genus Metagoniolithon (Ducker, 1979b). Her fluency in several languages gave her a facility to carry out her research in the history of phycology, with an emphasis on Australia. She dealt with contributions by the French (1979a), the Germans (1981, b, c), and the Austrians (1990a), as well as producing more general historical treatments (1981a, 1990b). An important fact to state at the start about Anwar Abdel Aleem is that his contributions to phycology were only part of the story. He was as highly esteemed as an oceanographer (El Sayed & Morcos, 2004). Over a long career he made numerous innovative contributions on marine algae (macro- and micro-, including diatoms and cyanobacteria), marine fungi, seagrasses, fouling organisms, and marine mollusks and other invertebrate groups, and mimicry between seaweeds and invertebrates. His interests were diverse: ecology, succession, technology, systematics, floristics, history, and physiology. It is fitting that Aylthon Brandão Joly (1924-1975) be included in this series of “Phycological Trailblazers” because during an exemplary if abbreviated professional career he singlehandedly spearheaded a strong phycological tradition in Brazil and South America. His efforts and contributions are worth recounting. Joly grew up in the coastal city of Santos in the state of São Paulo and early on was drawn to natural history. He earned his undergraduate degree (in 1945) as well as his PhD (in 1950) from the University of São Paulo. His PhD research was on systematics of flowering plants, in fact, on the vascular flora of the new campus of University of São Paulo. It is fitting to include Frank Shipley Collins (1848-1920) in this series of “phycological trailblazers” because he was an American original, a person who made significant contributions to our understanding of the marine and freshwater algae of North America despite his status as an amateur. Remarkably, although he held down a full-time job as a “ticket clerk” and bookkeeper for the Boston Rubber Shoe Company and by necessity had to carry out his studies on the algae in his spare time or wait till his retirement years, his legacy still stands as highly significant. There are very few individuals who can claim to have left behind such a significant body of work to science and to have done so in their leisure time. The main reason to include Ante Ercegović (Fig. 1) in this series of Phycological Trailblazers is to call attention to his many contributions in describing the algal flora, including Cyanobacteria, of Croatia and the Adriatic Sea. He was born on 25 October, 1895, in the town of Jesenice near Split, Croatia, into a farming family of modest means. He was able to carry out his studies with the aid of foreign assistance. In his doctoral research involving the lithophilic vegetation inhabiting the dolomitic and calcareous habitats of Croatia, he discovered microscopic algae living on and in the rocks, forms whose existence had been unknown up till then. 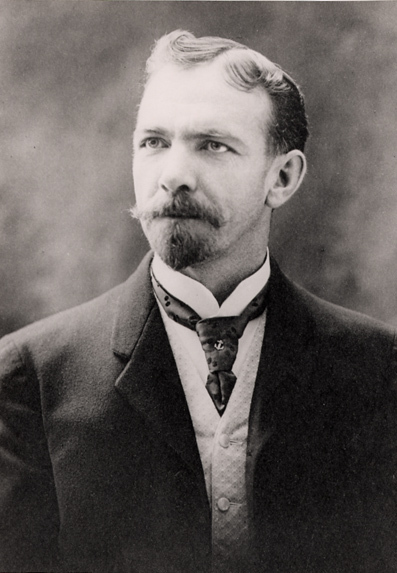 The inclusion of De Alton Brooks Saunders in this series of “Phycological Trailblazers” is owing to his pre-1900 studies of Pacific coast brown algae and his participation as the algal expert in the Harriman Alaska Expedition during the summer of 1899. Indeed his moniker during that 2-month cruise to Alaska, bestowed on him by none other than fellow shipmate John Muir, was “Seaweed Saunders”, a name that subsequent generations of his family affectionately refer to him. Although his interest in algae over the full period of his scientific profession was small, he made some useful contributions at a time that exploration was still in vogue. Yukio Yamada was one of the most significant phycologists of the 20th century, not just in terms of his contributions to knowledge of the Japanese marine algal flora but for his international reputation. Even though there have been two previous tributes to Yamada (Kurogi, 1976; Tatewaki, 1996), his story is worth repeating in this series. He was an undergraduate student in the Botanical Institute of the Faculty of Science of the University of Tokyo, where his initial mentor was Professor Bunzo Hayata, a terrestrial botanist. It was Hayata who encouraged Yamada to study the marine algae of Taiwan (Formosa), and Yamada was introduced to the famous Professor Kintaro Okamura, the foremost phycologist in Japan. The Rev. Francis Wolle (1817-1893) was an early American phycologist and microscopist who deserves our attention because of his numerous contributions and detailed observations that were made under modest circumstances. He was responsible for literally hundreds of first reports of algal taxa belonging to all categories of the freshwater flora of North America. He also described numerous new species and varieties and a pair of new genera. Richard Earl Norris, who was born in Seattle, Washington, on April 13, 1926, had a very early introduction to the algae. This early interest sparked a life-long dedication to the algae, both micro- and macro-, of freshwater, marine and brackish habitats, of intertidal and subtidal habitats or out on the high seas, and of all groups. I think that a hallmark of his illustrious career is that he has had such an all-encompassing fascination with the algae. Few contemporary phycologists have maintained such a broad outlook in their research on the algae. Over his long career he published essentially on all categories: red algae (including the corallines), green algae (including prasinophytes), brown algae, Chrysophyceae, diatoms, prymnesiophytes (including the coccolithophorids), choanoflagellates, euglenoids, and dinoflagellates. Felix Eugen Fritsch (26 April 1879 – 2 May 1954) (Fig. 1) was a major figure in phycology in the first half of the 20th century (Lund, 1996). His accomplishments and contributions deserve a re-telling in this series. Of German extraction, he was born in London on 26 April, 1879, the son of a schoolmaster. His education was from the University of London, and his D. Phil. degree was earned at the University of Munich in 1899. He was an instructor in the period 1902 to 1911 back at the University College, London. Following that stint, he moved to Queen Mary College, London. He received the rank of Professor of Botany in 1924 and served until his retirement in 1948. The illustrious career of Camille Sauvageau (Fig. 1), who made some landmark discoveries on the life histories of brown algae and achieved remarkable success for his times, deserves to be included in this series. His studies of algae were only a part of the full range of his botanical, mycological, and physiological interests. Camille François Sauvageau was born on 12 May, 1861 in Angers, Maire-et-Loire, France. He earned the Bachelor of Sciences degree from the University of Rennes in 1879, the licentiate’s degrees in physical sciences (1882) and natural sciences (1884) from the University of Montpellier, and finally the doctorate degree in natural sciences from the University of Paris in 1891. 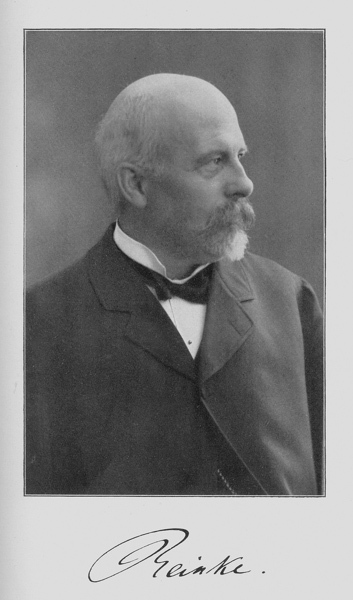 [Janus] Lauritz [Andreas] Kolderup Rosenvinge (1858-1939) was a Danish botanist and phycologist (Fig. 1), his major work being his investigations of marine macro-algae of Danish waters, including Greenland. While a student (Fig. 2), he was drawn to both vascular plants and the algae. Some of his earliest papers were on freshwater algae (Rosenvinge, 1879a, b). After he earned a Masters degree, he left Denmark, first going to Stockholm, where he worked in the lab of V. B. Wittrock (Hansen, 1985). He then moved on to the lab of Eduard Strasburger in Bonn, Germany. Next he moved on to the lab of plant physiologist Wilhelm Pfeffer in Tübingen. The life story and accomplishments of the Norwegian botanist- phycologist [Jordan] Nordal [Fischer] Wille (Fig. 1) (28 Oct. 1858 - 4 Feb. 1924) are certainly worth a re-telling. In a tribute to him on the 150th anniversary of his birth, Jørgensen & Vaalund (2008) called him the "most important promoter of botany in Norway in the last century". His contributions were significant mostly in terms of freshwater green algae. But he also studied other groups of algae including seaweeds, and he was very knowledgable of flowering plants.